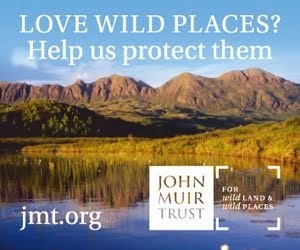 On March 20th I went down to the John Muir Trust's wonderful Wild Space Visitor Centre in Pitlochry to represent The Great Outdoors magazine. 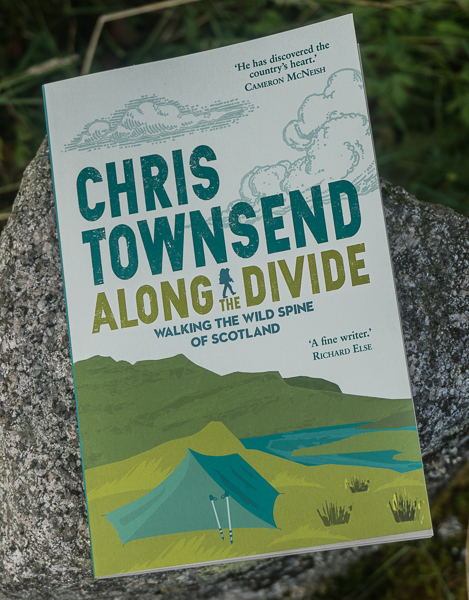 The occasion was a Civic Reception by Perth and Kinross council to mark two recent achievements for the JMT - winning the TGO Outdoor Campaigner of the Year Award 2014 and delivering the 100,000th John Muir Award in Scotland (which really is magnificent). The reception was addressed by Perth and Kinross Provost Liz Grant and local MSP John Swinney (who is also Deputy First Minister and Cabinet Secretary for Finance, Employment and Sustainable Growth in the Scottish Government). Mr Swinney praised the role of the Trust in standing up for wild places and getting people involved with nature and said “I’ve always been proud that the charity which looks after some of Scotland’s most magnificent landscapes – not least Schiehallion in Perthshire – is based in the heart of my own constituency.” I hope Mr Swinney relays these views to his government colleagues! 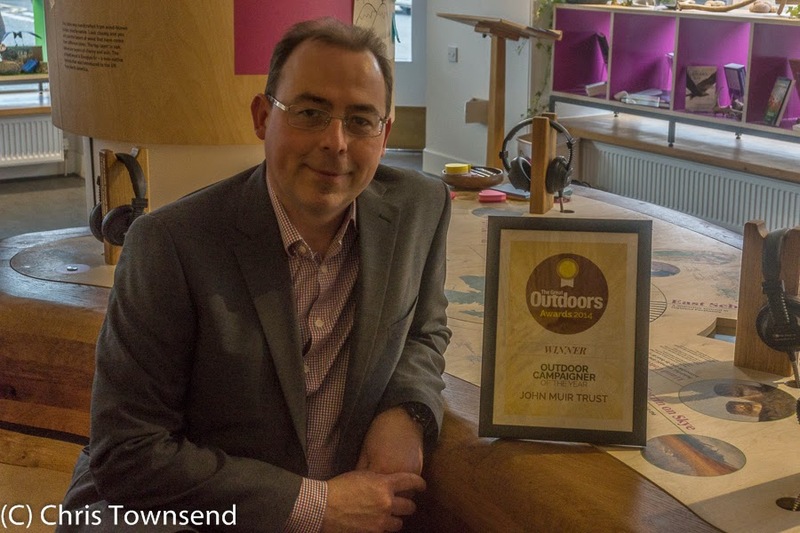 John Muir Trust Chief Executive Stuart Brooks with the TGO Award plaque in the Wild Space Centre. 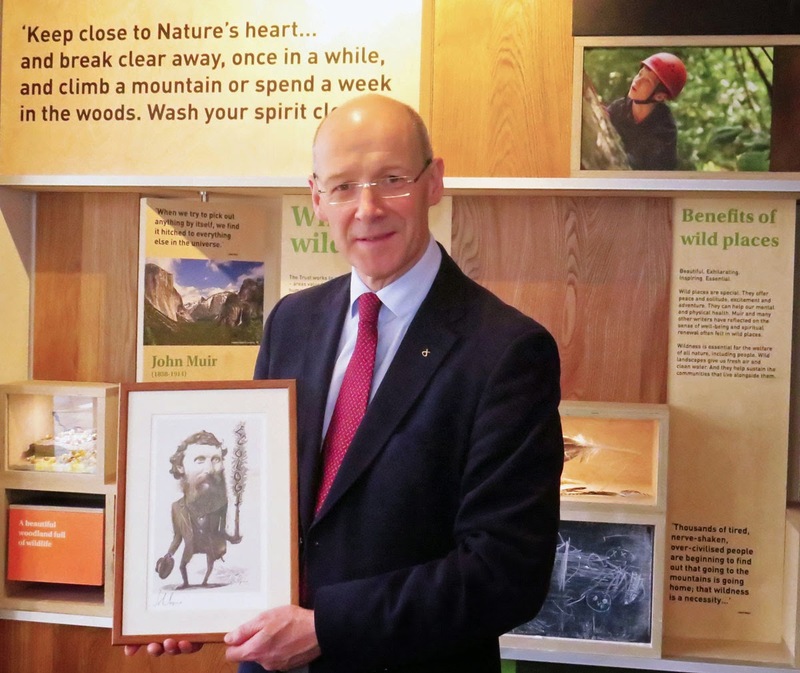 Other guests included local MP Pete Wishart, regional list MSPs Jayne Baxter and Richard Simpson, and local councillor Kate Howie, as well as representatives from Education Scotland, Scottish Natural Heritage, and Scotland’s two national park authorities. 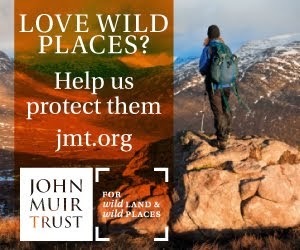 Staff and students from Pitlochry High School also attended the event to celebrate their commitment to the John Muir Award scheme, which includes regular active outdoor journeys and conservation volunteering activities such as tree planting, footpath maintenance and building nest boxes. As the reception wound to an end I took the opportunity to have another look round Wild Space, which is always worth a visit. Browsing the book display I realised I already had most of them. Even so I found a book to buy - Mary Colwell's biography John Muir. And I already have many books on Muir, including three biographies! Thanks to Alan McCombes, JMT's Media Manager, for the photograph of John Swinney, the details of attendees and quotes from the speeches. I didn't take notes myself! I do hope Mr. Swinney was taking notes. He'll need them for the decision on Allt Duine. Then again, maybe not. Did anyone have a chat with Swinney over Allt Duine?